Mission: The National Association for Lay Ministry is a collaborative organization of lay, vowed religious, and ordained ministers that empowers, advocates for, and develops lay pastoral leadership and promotes the growth of lay pastoral ministry in the Catholic Church. 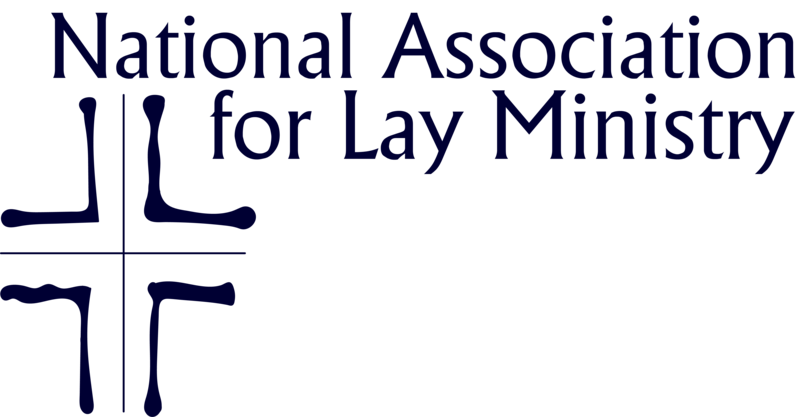 The name of the organization shall be the NATIONAL ASSOCIATION FOR LAY MINISTRY, hereinafter referred to as "the Association." 6. to foster communication, mutual respect, and collaboration among all who serve the Church. 3. have an interest in and are committed to any or all of the stated purposes of the Association. A. The Board of Directors shall approve all categories, criteria, and privileges of membership in the Association. A. Association forums are constituency-based groups of NALM members whose participants share a common role or interest in lay ministry. A. The Board of Directors shall determine the nature and number of all Association forums. A. Each forum shall determine its own leadership arrangements in accordance with these bylaws and Association policy. The Board of Directors shall appoint a liaison from the Board to each forum. A. Forums shall convene in conjunction with the Annual Meeting of the Association and at other times that policy or need may dictate. 2. no more than two additional (2) Directors appointed by the Board. A. The Board of Directors shall exercise all powers, duties, and responsibilities vested in or delegated to them on behalf of the Association and not specifically reserved to the membership. 7. employ, supervise, and evaluate the Executive Director. A. Only current members of the Association, who have been such for two years, who have served on a standing or ad hoc committee for two years, and who have attended the annual conference within the last five years, are eligible for election to the Board of Directors. 1. The Nominating Committee shall identify and propose to the Board of Directors candidates for election to the Board. In no event shall it propose fewer candidates than the number of vacancies to be filled. 2. The Board of Directors shall authorize the slate of candidates to be presented to the membership for election. 1. Election to the Board of Directors shall be conducted annually by written ballot or other means approved by the Board. 2. A plurality of votes cast shall govern to fill the existing vacancies. In case of a tie, the Board of Directors shall determine a process to resolve the election. A. Members of the Board of Directors shall serve a term of three (3) years, commencing with their installation and terminating with the installation of their successor. A. Members of the Board of Directors shall be eligible for re-election to one (1) additional term. After serving two terms, a member shall be eligible for subsequent re-election only after a three-year absence from the Board. A. A Director may resign at any time by giving written notice to the Chairperson or the Secretary. Such resignation shall take effect on the date the notice is received, or at a later time specified therein. The acceptance of such resignation shall not be necessary to make it effective. B. A Director may be removed from the Board by a two-thirds vote of the members of the Association. C. A Director may be removed from the Board upon absence from three consecutive meetings of the Board of Directors without reasonable excuse. A. In the event of the death, resignation, or removal of a Director, a successor shall be selected and appointed by the remaining members of the Board to complete the unexpired term of the predecessor. A. Regular meetings of the Board of Directors shall be held at least twice a year in a manner and at a date, time, and place determined by the Board. B. Special meetings of the Board of Directors may be held when called by the Chairperson or a majority of Directors. A. The Secretary or another authorized person shall give to all Directors notice of all Board meetings, with a statement of the meeting date, time, place, and subject to be considered. B. A Director may waive notice of any meeting of the Board of Directors. The attendance of a Director at any meeting of the Board shall constitute a waiver of notice of the meeting, except when a Director attends such a meeting for the express purpose of objecting to the transaction of any business because the meeting is not lawfully called or convened. A. A quorum shall consist of a simple majority of the voting members of the Board of Directors, including the Chairperson or Vice-Chairperson, for the transaction of Association business at any meeting of the Board. A. The standard decision-making process of the Board of Directors shall be that of consensus. When consensus cannot be reached, a simple majority of Directors present and voting at the meeting shall govern. A. Officers of the Association shall be the Chairperson, Vice-Chairperson, Secretary, and Treasurer. The Chair-Elect and Immediate Past Chair shall both serve as officers during the three-month transition period (from the March “Face to Face” meeting until installation of the Board at the Annual Conference). B. Unless otherwise specified in these bylaws, no Officer shall hold simultaneously more than one (1) office. Upon determination by the Board of Directors, the positions of Secretary and Treasurer may be held by one person for any given term. C. The Officers of the Board of Directors shall serve in their same respective capacities for the Association. 6. perform other duties as prescribed by the Board of Directors. 2. perform other duties as required. 6. cause a fiscal audit of the Association to be conducted annually. 1. Perform the duties of Chairperson. 2. Act as consultant/mentor to the Chair-Elect. 3. Attend all Board meetings. 4. Serve as a member of the Executive Committee. 1. Prepare to perform duties of Chairperson. 2. Be a voting member of the Board. 6. Perform other duties as requested by Chairperson. A. Officers shall be selected from the current Board of Directors. A. The Board of Directors shall discern annually Directors to fill the vacating offices of the Association. A. The Chairperson shall serve a single two (2)-year term. Should the Chairperson be selected in the second or third year of a Board term, his/her service as a Director, and the size of the Board, shall be adjusted accordingly. B. Other Officers shall serve a one (1)-year term, and shall be eligible for one (1) additional consecutive term in that office. C. Unless otherwise specified in these bylaws, the terms of all Officers shall commence with their installation as Officer, and terminate with the installation of their successor. A. An Officer may resign his/her office at any time by giving written notice to the Chairperson or the Secretary. Such resignation shall take effect on the date the notice is received, or at a later time specified therein. The acceptance of such resignation shall not be necessary to make it effective. B. An Officer may be removed from office by the Board of Directors, with or without cause, upon vote of at least a two-thirds majority of the Directors at any meeting of the Board at which a quorum is present. A. In the event of the death, resignation, or removal of an Officer, a successor shall be selected and appointed by the Board of Directors to complete the unexpired term of the predecessor. A. An Executive Director may be hired and be responsible to the Board of Directors. An Executive Director shall serve at the pleasure of the Board. 1. In the absence of an Executive Director position, the Chair of the Board assumes the responsibilities of the Executive Director and directs the affairs of the association in collaboration with, and the consensus of, the Board of Directors. 4. serve as ex officio member of all committees except the Nominating Committee. A. The Board of Directors shall establish and approve the system and schedule of dues for all membership categories of the Association. A. Any provision of these bylaws or other Association policies that affects adversely the tax-exempt status of the Association shall be null and void. A. No part of the net income of the Association shall inure to the benefit of any private individual, and no Director, member, Officer, employee or other person shall receive, or be lawfully entitled to receive any pecuniary benefit, profit, or compensation of any kind therefrom except reasonable compensation authorized in these bylaws or Association policy for services rendered or expenses incurred in effecting one or more of its exempt purposes. ARTICLE VIII - Section 4. Indemnification. A. The Association may, by resolution of the Board of Directors, provide for indemnification by the Association of any and all of its Directors and Officers, or former Directors and Officers, against expenses actually and necessarily incurred by them in connection with the defense of any action, suit, or proceeding in which they or any of them are made parties or are a party by reason of having been Directors or Officers of the Association, except in relation to matters as to which such Director or Officer, or former Director or Officer, shall be adjudged in such action, suit, or proceeding to be liable for negligence or misconduct in the performance of his or her duty and to such matters as shall be settled by agreement predicated on the existence of such liability for negligence or misconduct. The Association may purchase insurance for such indemnification. ARTICLE VIII - Section 5. Distribution of Assets upon Dissolution. A. In the event of the dissolution of the Association, any assets remaining after all debts have been satisfied shall be conveyed to a non-profit organization designated by the Board of Directors, under provisions of the Internal Revenue Code, to be used for purposes analogous to those for which this organization has been created. A. There shall be an Annual Meeting of the membership at a date, place, and time determined by the Board of Directors. The Board of Directors may determine other meetings of the Association as circumstances warrant. A. Special Meetings of the Association may be called by the Chairperson or the Board of Directors, or shall be called by the Chairperson upon the written request of at least one-fourth of the members of the Association. A. The Secretary or another authorized person shall give or direct notice of the Annual Meeting to the membership, in writing or by other means, at least thirty (30) days prior to such meetings. For Special Meetings, such notice shall be given at least ten (10) days prior to the proposed meeting, with a statement of the meeting date, time, place, and subject to be considered. A. At any meeting of the general membership, a simple majority of the members registered for the meeting shall constitute a quorum. A. Unless otherwise specified in these bylaws, all current members of the Association are eligible to vote. A. When voting is required of the membership, it may be conducted by written ballot or other means, provided the matter to be voted upon has been presented to the membership for comment or debate; and further provided that appropriate documentation of the matter to be voted upon (and a written ballot if necessary) has been sent to the membership not less than thirty (30) days prior to a date determined by the Board of Directors for final tally of the vote. B. Unless otherwise specified in these bylaws, a simple majority of all members voting shall govern in matters brought to the general membership for a vote. A. In addition to the standing committees identified elsewhere in these bylaws, the Board of Directors may establish and dissolve special committees to carry out the work and mission of the Association, and shall determine the name, nature, charge, and composition of all such committees. B. In consultation with the Board of Directors, the Chairperson may appoint ad hoc committees for specific tasks as necessary. A. Unless otherwise specified in these bylaws or by determination of the Board of Directors, membership on all committees shall be open to all members of the Association, and may also include non-members of the Association as circumstances warrant. B. All committee members and chairpersons shall be appointed by the Chairperson of the Board of Directors. A. Unless otherwise specified in these bylaws, committees shall be appointed on an annual basis, beginning with the Annual Meeting. A. Committees are accountable to the Board of Directors. In addition to responsibilities specifically stated in these bylaws, they shall regularly inform the Board of their respective activities or services; they shall do so by written report at least annually. The Board shall make provision for dissemination of Committee reports, activities and concerns to the membership. 1. consist of the Officers of the Association and the Executive Director; and see that all policies, directives, and resolutions of the Board of Directors are carried out. 1. consist of at least three (3) members of the Association, including a member of the Board of Directors as chairperson, appointed at least six (6) months prior to the Annual Meeting. 4. make recommendations to the Board of Directors for fundraising projects as necessary. 3. recommend changes in personnel policy to the Board of Directors as needed. A. Amendments to these bylaws may be proposed by the Board of Directors or by petition of at least two percent (2%) of the members of the Association. A. These bylaws may be amended by written ballot or other means, provided the proposed amendment has been presented to the general membership for comment or debate, and further provided that appropriate documentation of the proposed amendment/s (and a written ballot if necessary) has been sent to the membership not less than thirty (30) days prior to a date determined by the Board of Directors for final tally of the vote. B. A two-thirds majority of all members voting shall govern to amend or repeal these bylaws.